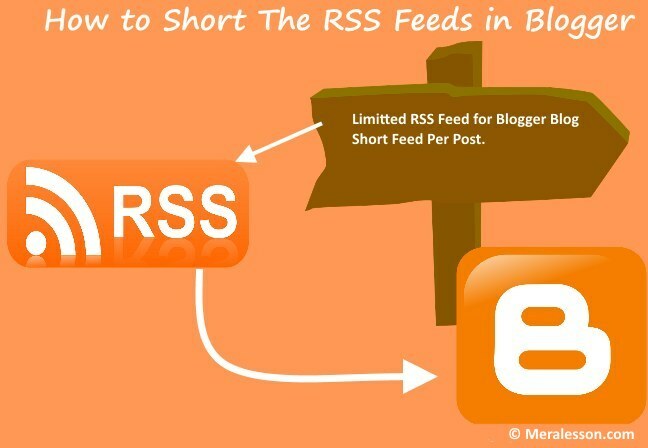 Wants to display half RSS feeds in your blogger blog?, then you are at the right place, it is very useful to encourage your RSS subscribers to read your full article on your blogger blog, And you will increase your traffic, So in this tutorial you will learn how to make your RSS feeds short in blogger, By the default blogger allow full RSS feeds for your blogger blog, You have to should to short it to gain more traffic, And it is very easy and it can be done in few seconds, we also wrote the best Advanced SEO tricks that you should check out. RSS Means (Rich Site Summary) and is a format for providing the articles, photos, other content to your RSS Feed reader and they can read your content without visiting your website, But you can encourage them to read your full post at your blogger, and this post you will learn how to do this so keep reading the article. 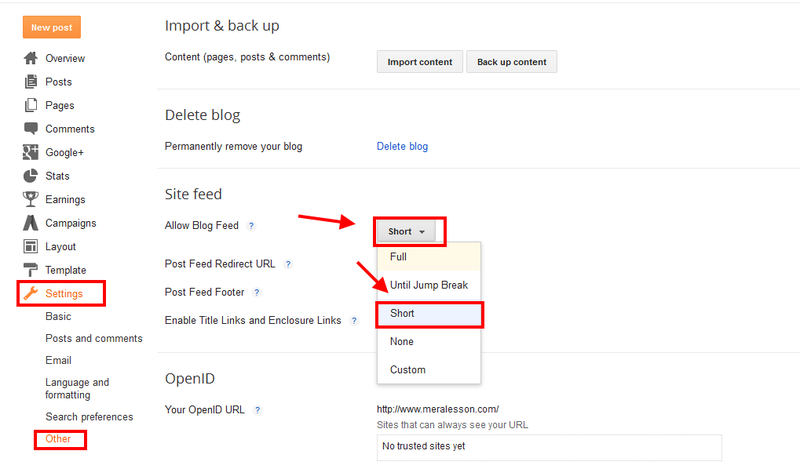 To keep short your RSS feed in blogger, You need to go to your blogger >> Settings >> Other, And under the Site feed section and there you will see the drop down list for your blogger RSS Feed next to " Allow Blog Feed " click on the dropdown list and select short. Once you have selected the short option from the Blog Feeds dropdown list, then click on save settings, On the top right of your screen. So this is you how you can limit your RSS feed content in blogger, I hope this article helped you, and if you liked this tutorial and learned from it, then make sure to like and follow us to get the latest update from us, Twitter, Facebook.